One of the leading airlines in terms of passenger satisfaction, Singapore Airlines, revealed their new look cabins on the latest Airbus A380 aircraft this week much to the delight of many a seasoned traveller and media hack. 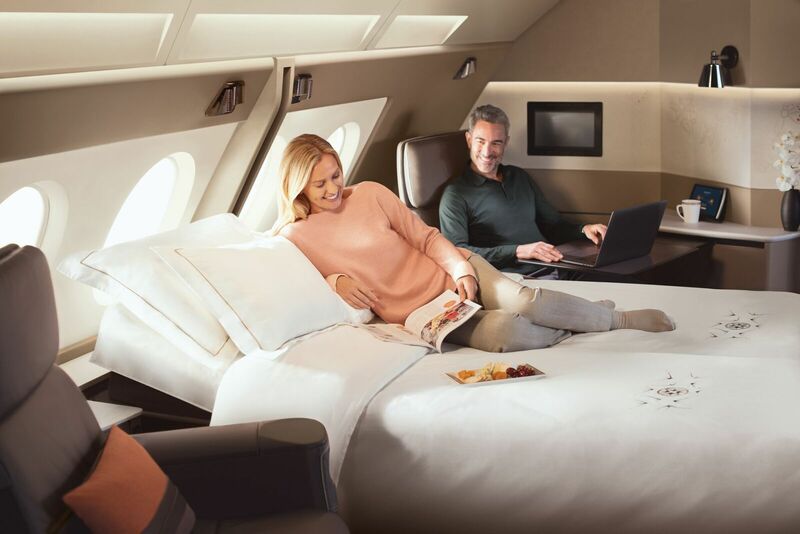 The airline has spent millions (US$850 Million to be exact) on the design and comfort of its new cabins that seem more akin to a luxurious boutique hotel than a long-haul jetliner. Things like double beds, fluffy sheets, embroidered cotton duvets, amenity kits to die for and we've not even started about the sensationally exquisite dining experience. nor the highly advanced in-flight entertainment system, which will make you wish your flight was just a little bit longer! 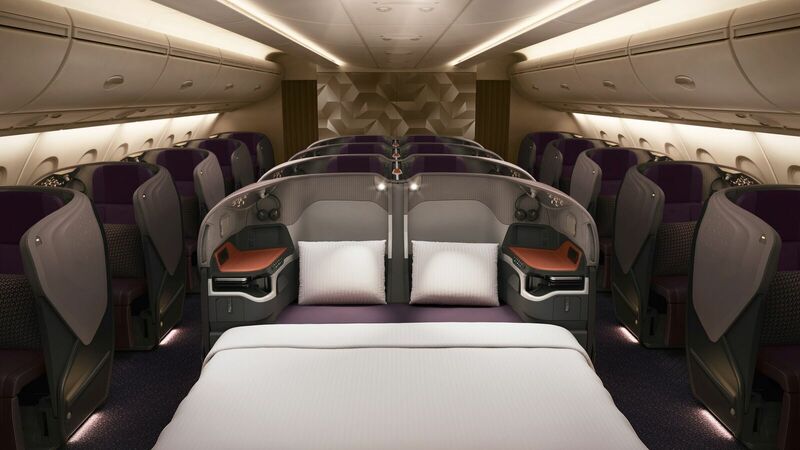 The new cabins will feature on the first of five new A380 aircraft entering the Singapore fleet and the airlines 14 existing aircraft will also be retrofitted with the new cabins to ensure product consistency across the Airline’s entire A380 fleet. 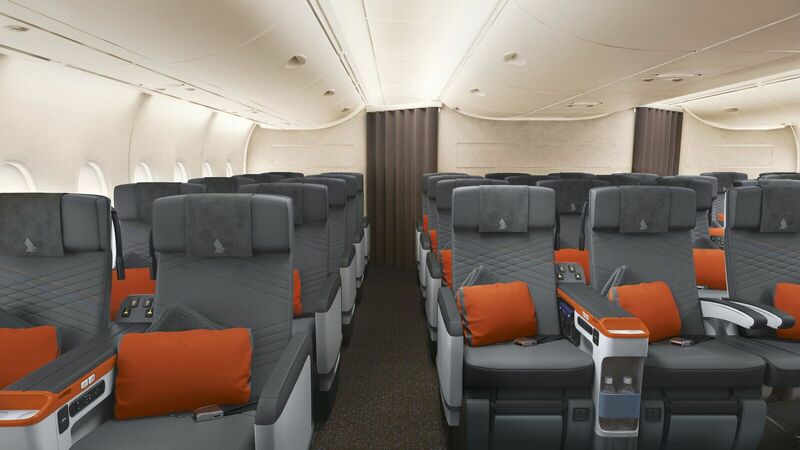 The new configuration of the new A380 featuring six Singapore Airlines Suites and 78 Business Class seats on the upper deck. 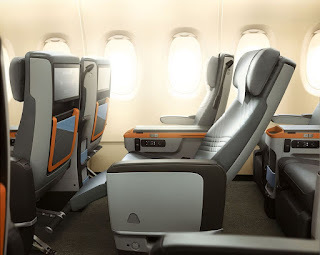 There are 44 Premium Economy Class seats and 343 Economy Class seats situated on the main deck. Let's take a little bit of a closer look aboard the double-decked superjumbo were comfort is more paramount than windows then never fully dim. Situated at the front of the upper deck, and created for a distinguished few, each of Singapore Airlines’ Suite seat is upholstered by world-renowned Poltrona Frau in fine leather, and is fully adjustable using an electronic control side panel which can accommodate a variety of sitting and lounging positions. The swivel capability of the chair (between 135 and 270 degrees) with recline up to 45 degrees provides added flexibility for dining and relaxation.will feature a plush mattress bedding, two pillows and a fluffy cotton duvet, complete with embroidery crafted by the French luxury brand, Lalique. 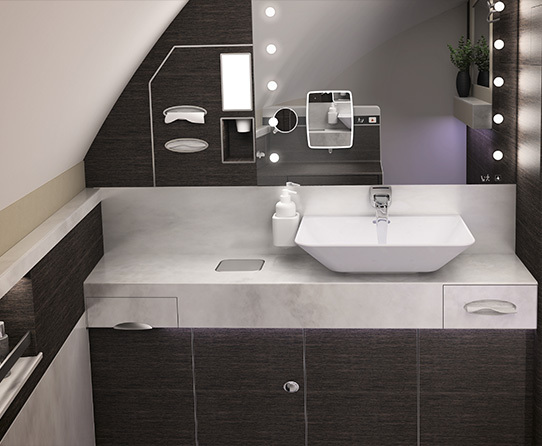 Complemented with a stylish sleeper suit, slippers, eyeshades and socks, customers can lounge in comfort before drifting into a peaceful sleep in their private cabin in the sky. Each Suite also has a 32-inch full HD monitor that can swivel for the different viewing angles in seat and bed modes, a full-sized personal wardrobe, customised handbag stowage compartment, amenity box lined with soft leather, specially designed carpet and a feature wall with mood lighting - all exquisitely crafted to give a touch of luxury and intimacy. The exclusivity of the Suites cabin is further accentuated by its two stylishly-furnished lavatories, one of which has a sit-down vanity counter. These look incredible and are as spacious as you might find in the owner's cabin on a luxurious cruise liner sailing the oceans. This ablution oasis also comes with a special citrus-scented facial mist, body lotion and fragrance by Lalique. As you might expect the amenity kit you get as a suite customer on selected flights is second to none and far exceeds most mere mortals expectations! The amenity kit comes with toiletries and perfumes or a unisex kit containing lifestyle items, specially designed and created under the co-brand partnership with Lalique of France. Each of the separate his-and-hers amenity kits will consist of a fragrance, lip balm and a specially designed pouch. In addition, the ladies’ set includes a face moisturiser and hand cream while the men’s set includes a body lotion and aftershave balm. The unisex kit containing lifestyle items is designed as a collectable item, featuring a Lalique candle, scented soap, lip balm and body lotion. If you are one of the lucky few travelling in the not too distant future, you may just find also include in the kit a miniature ornamental crystal fish from Lalique - only available for a limited time. Singapore Airlines promise that the design of all three amenity kits will be refreshed regularly. 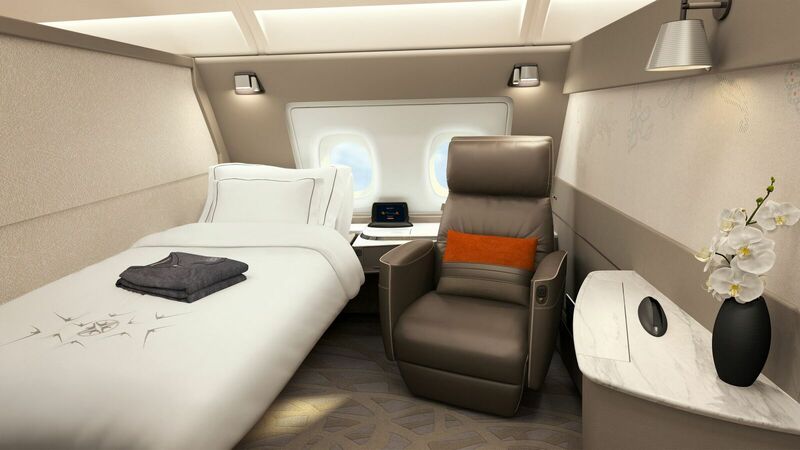 The pampering doesn't stop with the suites, the new look Singapore Airlines Business Class cabin on the new A380's is also a luxurious treat for all the senses. Passengers can look forward to a range of Penhaligon’s washroom amenities on board such as hand lotion, facial mist and fragrances. 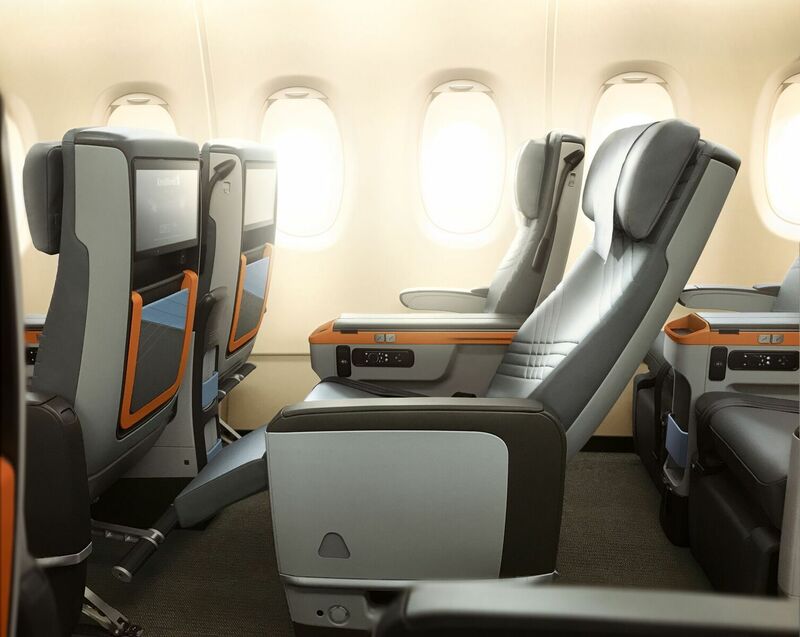 There is a more relaxed, contemporary and dare I say enchanting ambience in the business class cabin that is created by the modern yet organic colour scheme featuring a selection of soothing and classy leather and fabrics, in addition to lightweight carbon composite materials. The seat is 25 inches wide and has two side wings for better back support or s we're told. The seat reclines directly into a comfortable full-flat bed of 78 inches, perfect for sleeping on those long flights to Singapore and beyond. Also if you want to recline and relax, but not drift off to the land of nod, then the ‘sun-deck’ position is the one for you, just perfect to watch movies on the 18-inch high definition touch-screen monitor from. The whole area around the seat provides plenty of room to move, stretch and store things, so you'll be able to work, rest or play, depending on your mood and desire. A larger back shell on every seat creates a cocoon-like feel for more privacy while the centre divider can be fully lowered to form double beds, making the two centre seats an ideal choice for couples or families travelling together. 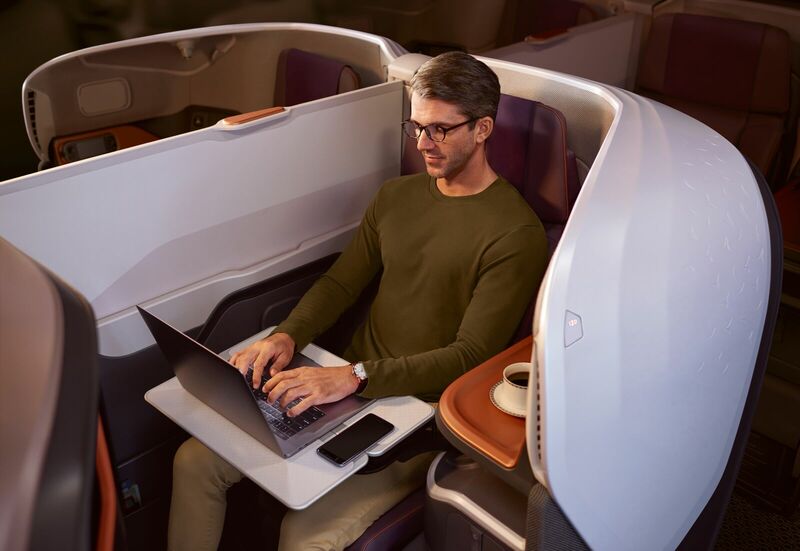 According to Singapore Airlines, a unique feature of the new Business Class seat is that it has a carbon fibre composite shell structure, as compared to conventional aircraft seats which use metal as the primary support method. This thinner base structure allows for better optimisation of the seat, which sounds great to the designers, but for us passengers, it basically means you get oodles more space under the seat, big enough for a full-sized cabin bag and laptop bag or jolly massive handbag. You'll always have an aisle seat in business class as the configuration is a 1 -2 -1 formation, which makes life easier as well as enhancing the spacious feel of the cabin. And as if that wasn't enough, you also get padded bed sheets, blankets as well as a non-lumpy rather large pillow. Now, if you're like me and don't have a rich sugar daddy or mommy to pay for things and are travelling on a more modest budget, then the Premium Economy Class might be right down your ally. However, don't expect this cabin to be downmarket, no this is Singapore Airlines with a decades-old reputation for quality service and that's true in premium economy as well as business. Each seat is 19.5 inches wide, with eight-inch recline and seat pitch of 38 inches. 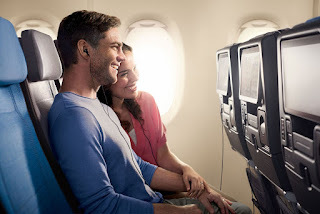 You can also enjoy the new enhanced in-flight entertainment experience with the provision of active noise-cancelling headphones and a sleek 13.3-inch full HD monitor - that's bigger than my laptop screen or telly at home! Oh and no, they've not stopped there, other features include a full leather finishing, calf-rest and foot-bar for every seat, as well as individual in-seat power supply, two USB ports, personal in-seat reading light, cocktail table, and more stowage space for personal items. Looking at the space and comfort of this seat, you'd be forgiven for thinking it really is more like a business class seat that you'd find on many other airlines. The economy cabin hasn't been forgotten either, Singapore Airlines has worked hard to completely refresh its economy offering for the benefit of all. The new seats have been designed and built by RECARO and they offer more space and greater comfort through an improved design. Thanks to advanced technology and ergonomics the new economy seats offer more legroom and back support, with a six-way adjustable headrest with foldable wings. The Economy Class seat also features a more contemporary fabric seat cover design. No matter which cabin you find yourself aboard one of the fresh new A380s you'll be able to take advantage of high-speed in-flight WiFi service, the world’s first GX-enabled aircraft. Yes, the double-decked beauty will be equipped with Inmarsat GX Aviation’s broadband connectivity system, offered through SITAONAIR. 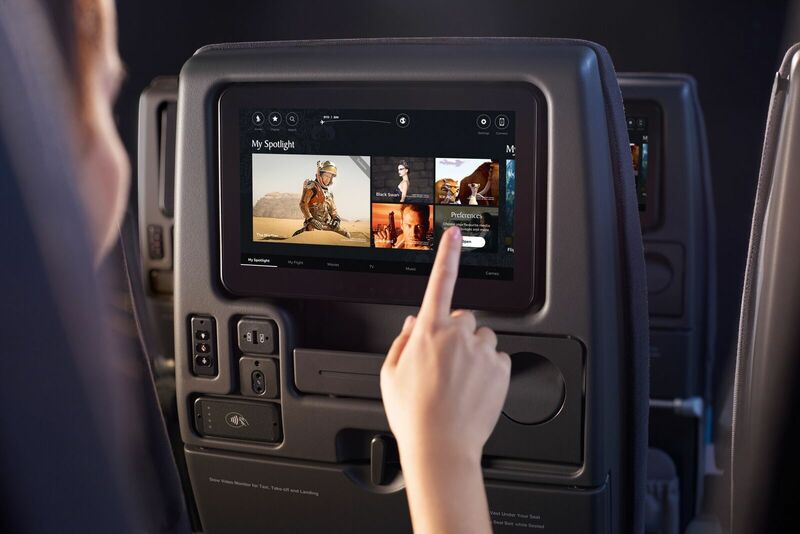 Currently available on selected Boeing 777-300ER aircraft in Singapore Airlines’ fleet, this service will be progressively introduced on aircraft that are equipped with SITAONAIR’s Internet and mobile in-flight connectivity. “The significant investment that we are making with the introduction of new cabin products demonstrates our commitment to continued investment in products and services, our long-term approach to ensure we retain our leadership position and our confidence in the future of premium full-service air travel,” said SIA CEO Mr Goh Choon Phong.